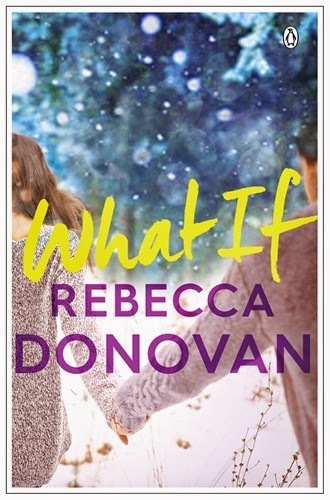 Thanks to the lovely people at Penguin I have a fabulous giveaway for my UK readers today for the chance to win one of five copies of What If by Rebecca Donovan. I had planned to post my review to go alongside this giveaway but I was wiped out for the last few days with a viscous migraine and haven't managed to do any reading. I'm half way through What If though and really enjoying it so watch out for my review which will be posted in the next couple of days. She looks exactly like Cal's shy childhood crush, but her name is Nyelle Preston and she has no idea who he is. This girl is impulsive and daring, her passion for life is infectious. But Nyelle is also extremely secretive. And the closer Cal comes to finding out what she's hiding, the less he wants to know. Thanks to Penguin I have five copies of What If to give away to UK winners. You can enter using the Rafflecopter form below, FIVE winners will be chosen at random and contacted soon after the giveaway ends for their contact information. The prizes will be sent out directly by Penguin so you must give me permission to share your address if you wish to receive your prize.